I’ve got a pile of December pictures to scrap, and I’m enjoying a new toy. These colored inks are an accessory for the Cricut machine that I love, especially to cut out titles. I like how red around the edges helps the white letters pop. 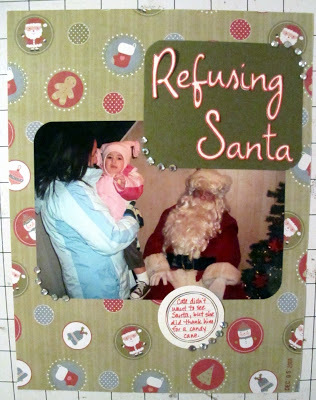 “Refusing Santa” is also cut out using my new font, Opposites Attract. oh, i like it. THe outline is so cool.